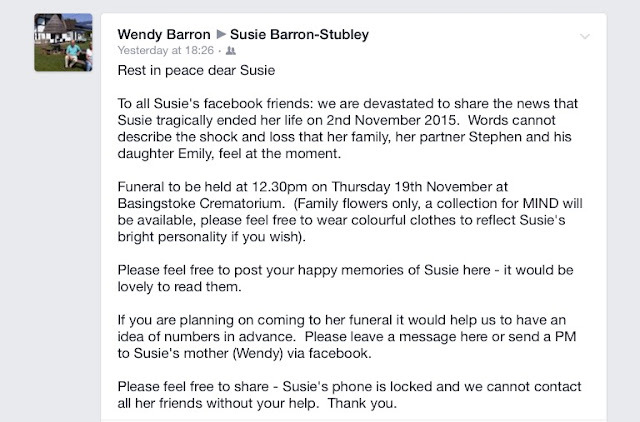 The PA and EA community has been rocked this week by the tragic news of the death of Susie Barron Stubley. Susie, owner / MD of Castalia Executive Coaching, is loved by so many of us. She trained, coached, mentored and inspired so many, worldwide. We are all greatly at a loss without her. Details for Susie's funeral have been announced, with requests that we share them out, in the hope that all her friends get a chance to see them, and thus have the opportunity to attend. Please feel free to like / share / forward this post - and I'll see you at the funeral, if you're able to make it. Get your bright red lipstick out for the occasion. Let's see this beautiful, wonderful woman off with a smile to match hers.